Louise and Tome’s magical wedding was held on a bright October day at Victoria Park Golf Complex. A small collection of the couple’s family and friends helped to celebrate their big day. 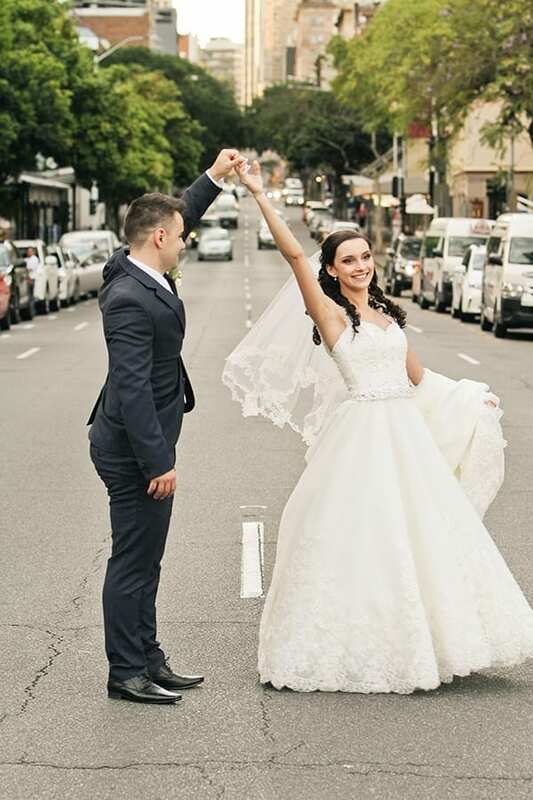 Louise looked stunning in her Clara gown by Mori Lee, which she had customised to suit her style! She added beaded silver straps to the sweetheart neckline gown, which really gave her gown an extra sparkle. She also wore a lovely two-tier lace-edged veil to mirror the scalloped lace edging of the Clara gown. View the gorgeous photos of Louise and Tome’s day below!